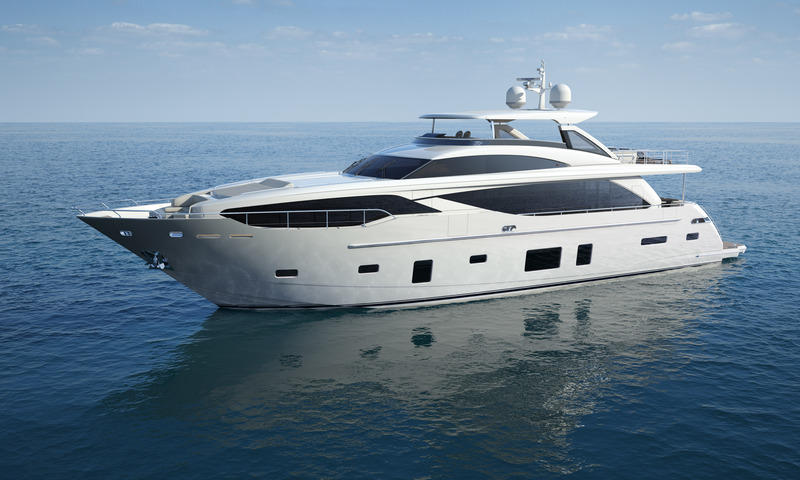 Princess Yachts have unveiled details of their latest M Class yacht, the Princess 30M. This 100ft raised pilot house yacht will mark the entry point to the M Class fleet and the unparalleled level of design and luxury that comes with it. An incredibly spacious yacht, featuring the bold, contemporary lines that are now synonymous with Princess M Class design, the 30M will offer up to five double en suite cabins including a main deck master suite. 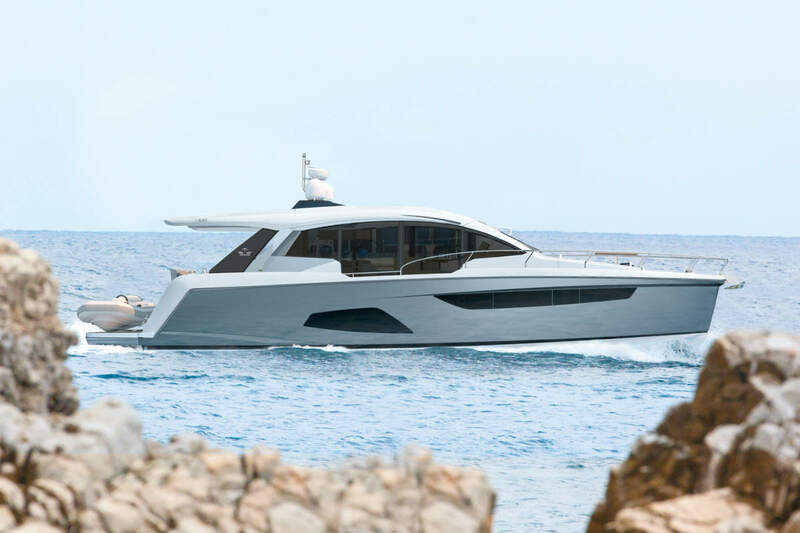 Princess’ composite build technology and progressive design lie behind the 30M’s peerless onboard experience, delivering class leading interior volume, optimum cruising efficiency and the respective weight-saving advantages to enable anticipated speeds approaching 30 knots. Both on deck and interior design are truly exceptional. 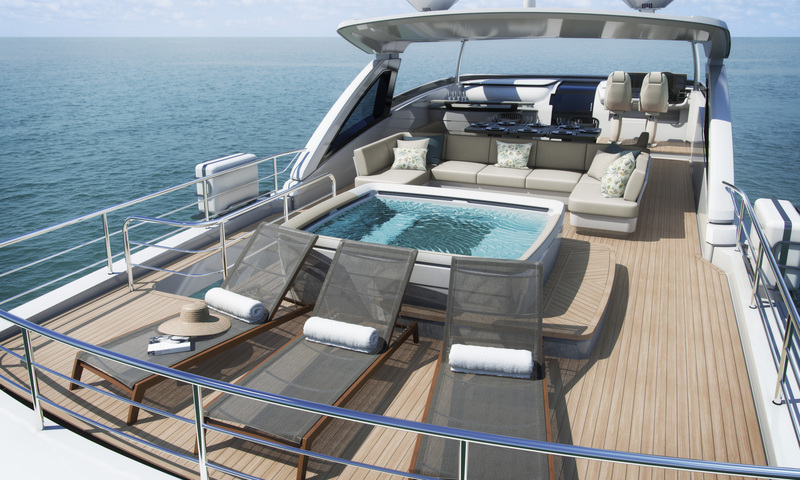 The aft cockpit features a relaxed and spacious seating area complimented with a wetbar and shaded beneath the flybridge overhang. Twin transom gates lead to the hydraulic bathing platform and stern garage which can accommodate a 4.5m tender, perfect for a day of water sports. The flybridge on the 30M is one of its many standout features with a flexible, modular seating system set beneath a hardtop with integrated sunroof and serviced by a full wetbar. To the aft of the flybridge a spa bath can be accommodated in addition to free standing deck furniture. 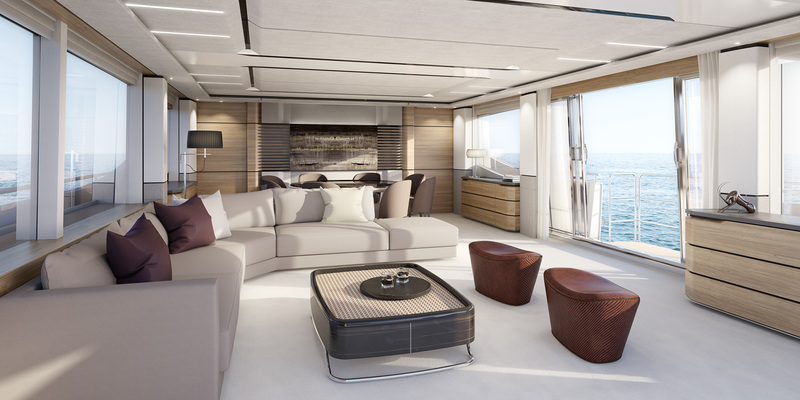 On the main deck, the saloon can be configured to suit a clients cruising style with various seating and dining options available as well as the choice to incorporate wide sliding doors which open to a balcony on the starboard side. The Master Suite is located forward and is complimented with a choice of three or four beautifully appointed en suite guest cabins on the lower deck. The 30M is designed to allow the crew to operate discretely, with independent access away from guest areas – a design philosophy shared with both the 35M and tri-deck 40M. As with all M Class vessels the interior finish is dictated by owner’s specific tastes and requirements. The Princess Design Studio is responsible for all M Class interiors and offers a very personal level of service and attention, with a dedicated Design Studio consultant working with each owner to realise their perfect yacht. The standard of finish throughout is exceptional, with hand crafted cabinetry, marble and granite en suites and beautiful fabric feature panels. Engineering levels are also of the highest standard, including two 40kw generators, a comprehensive control and monitoring system and a full hydraulic system to power thrusters, stabilisers and the 30M’s twin anchor winches. Currently under development at Princess’ South Yard Super yacht facility in Devonport, Plymouth, this exciting addition will join the M Class range in 2015.